Ian Telfer, Chairman of the Board and Director of Goldcorp Inc.
Canadian mining executive and entrepreneur Ian Telfer has more than three decades of experience in the international resource sector, having earned a well-regarded reputation for an ability to build and grow successful and profitable mining companies. Ian Telfer graduated from the University of Toronto, where he earned a Bachelor of Arts in Political Science. Ian then went on to study business and earn a Masters in Business Management from the University of Ottawa. 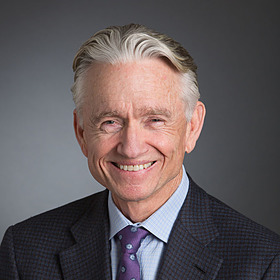 Today, Ian serves as Chairman of the Board at Vancouver-based Goldcorp Inc., a leading Canadian gold producer that employs roughly 15,000 people around the world. Before taking over as Chairman, Ian served as Chief Executive Officer and President of Goldcorp for several years. Besides leading Goldcorp, Ian has directed other mining companies that have enjoyed substantial growth and have had multi-million dollar valuations. Some of these successful ventures have included TVX Gold, Wheaton River Minerals – which later merged with Goldcorp - Silver Wheaton, Terrane Minerals and Uranium One. Ian’s leadership helped these firms reach a collective market capitalization of more than $50 billion during their peak performances. In addition to his professional accomplishments, Ian is a Fellow in the Institute of Chartered Accountants, a member of the National Association of Corporate Directors, and a member of the Institute of Corporate Directors. From 2009 to 2013, Ian served as Chairman of the World Gold Council (WGC). Ian is as well-known for his philanthropic endeavors as he is for his success in the resource sector. In 2007, Ian donated $25 million to the University of Ottawa’s business school, which was renamed the Telfer School of Management. In 2015, Ian donated another $2 million to the Telfer School of Management. Over the years, Ian has been the recipient of a number of awards and accolades. In 2015, Ian's long-spanning career in the mining sector was honoured when he was inducted into the Canadian Mining Hall of Fame. This year, Ian will be inducted into the Business Laureates of British Columbia (BLBC) Hall of Fame for his various accomplishments and philanthropic endeavors. In his spare time, Ian enjoys traveling and has visited over 100 countries and plans to visit many more in the years ahead. Chairman of the Board at Goldcorp Inc.
Financial Analyst at Hudson Bay Mining & Smelting Co.